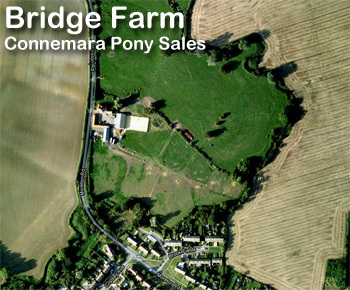 Here we present Curraghaheen Cascade, a lovely full green passported, Connemara gelding for sale. He is 6 years old and ready to bring on. By Laerkens Cascade Dawn, out of Clonkeen Lady. Grand sires Hazy Dawn, and Callowfeenish Buachaill. 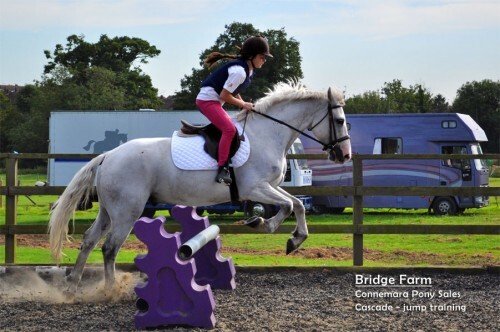 Cascade is a lovely Connemara gelding who was bred in Western Ireland. He has hunted in Ireland . 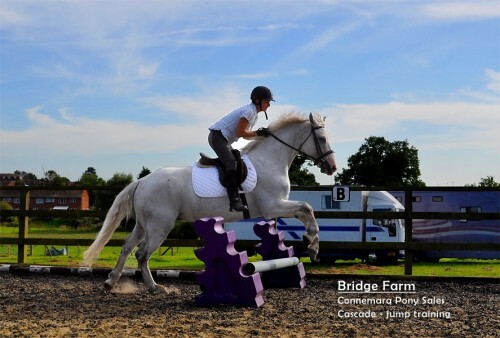 He is a true pony with a leg at each corner. He is a really willing Connemara pony who will always try to please. There were lots of tears when Cascade left his home in Ireland. 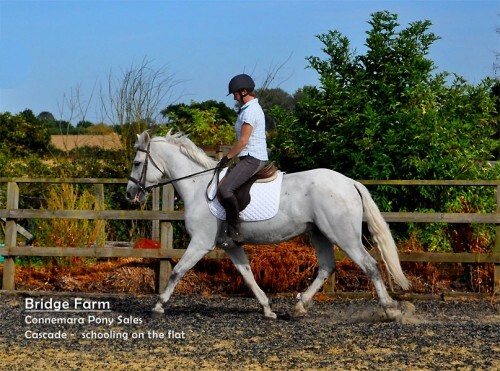 He is a kind honest pony, never kicks or bites and comes highly recommended by his previous owner. 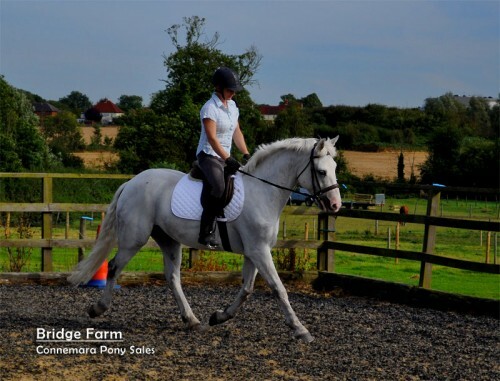 He would do very well in Mountain and Moorland classes, dressage, and pleasure rides. He recently came out on a pleasure ride with a 12 year old girl riding him. He was exceptionally well behaved, even going through water. Cascade is truly one not to be missed and you’re welcome to come and try him out. We have good trial facilities at the yard. Please Call Belinda to express an interest on: 07980 668380 or use the contact from on the right to get in touch.